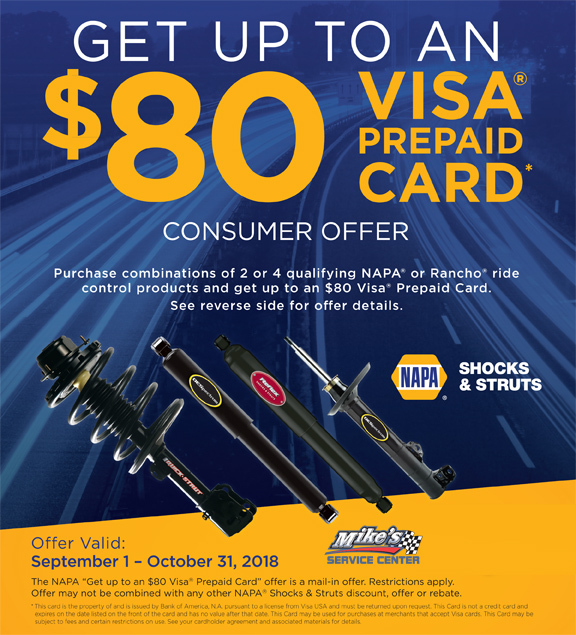 Purchase combinations of 2 or 4 qualifying NAPA® or Rancho® ride control products and get up to an $80 Visa® Prepaid Card now through October 31, 2018. Valid on shocks or struts. Call 920-468-7522 for details and to make an appointment.